PALM COAST, FL (KTRK) -- It's nothing out of the ordinary to see a group of people waiting to cross the street, but what about an alligator? That's exactly what motorists had to stop for at a Florida intersection Monday morning, when a five-foot alligator planted itself near a busy intersection in Palm Coast. 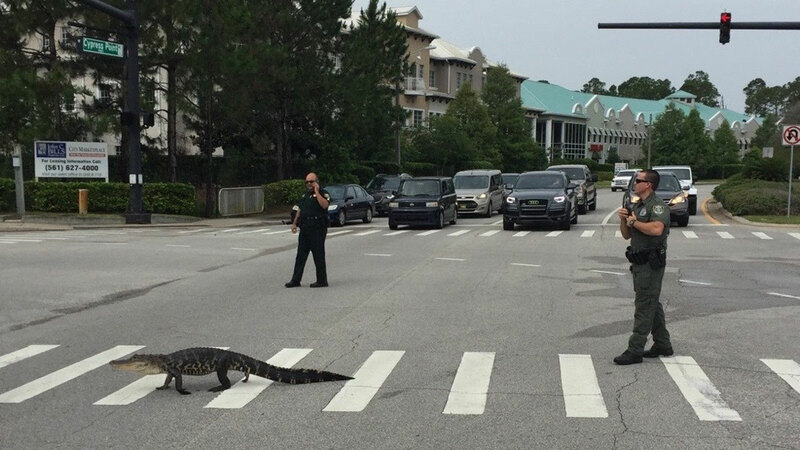 Flagler County Sheriff's Office deputies stopped traffic so that the animal could cross. After sitting precariously close to the roadway, the critter suddenly scuttled across the street -- and was polite enough to use the crosswalk. "He just walked in the crosswalk like it was normal," FCSO Corporal Kenny Goncalves said about the incident. The well-mannered reptile disappeared into a wooded area before a trapper arrived on scene.